Fiona’s Story: Fiona was such a happy little puppy. She was so playful, silly, loved everyone and she was just the sweetest puppy. She had such kind eyes and we fell in love with her. In the recent videos she is the one with the pink collar. She is always one of them jumping around for attention. I have hesitated to share Fiona’s (Sadies) story because I like to keep my page upbeat and positive…. The truth is, there are a lot of aspects of breeding that are absolutely heartbreaking, exhausting and emotionally draining. I love all of my puppies/adults and my number one goal is they live happy/healthy lives with their families who love and adore them. I have been very fortunate over the years to have very healthy puppies/adults. 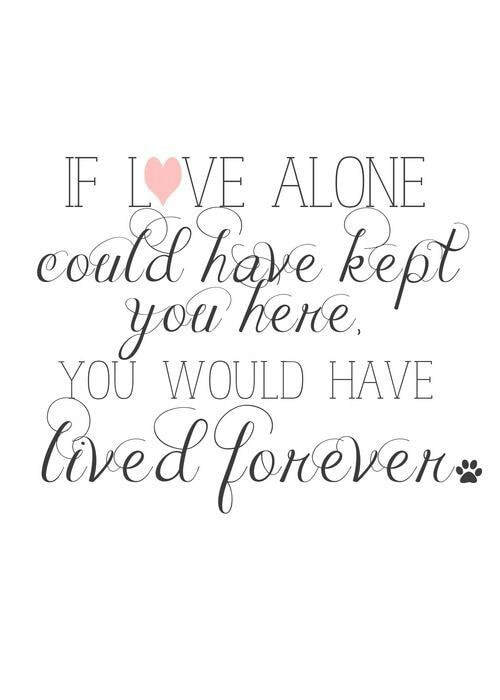 I have not had but a few puppies that didn’t thrive and go on to live happy Schnauzer lives with their families. When Fiona was 6 weeks old, I noticed that her heartbeat felt different and when I put her chest to my ear I could hear a whoosh… So, I took her to my vet the next day (even though she acted great). My vet agreed that her heart sounded abnormal (keep in mind she acted perfectly happy, healthy, and active like nothing was wrong). Two days later we took her to a cardiologist. I/we wanted to know what was wrong and if it could be fixed right away. After an ECHO of her heart was done, they determined that she had a heart murmur and it was a grade high enough that she needed surgery. We expected them to say they would do it the next day or within days…however, they stated that they couldn’t do the heart surgery until three weeks later (august 9th, 2018). This caused me concern and I questioned whether or not she could wait that long but I trusted their professional judgment. What I regret is not pushing to have it done right away and not thinking to ask for a referral to another state as there aren’t very many surgeons who do surgeries on the hearts of small animals. I will probably never get over the fact that I did not push harder, question them more or try and find an out of state surgeon. My husband and I were happy to pay for the surgery and to see her live a long and happy life. The surgeries are actually very successful when done in time and the dog/cat actually goes home within 24 hours as if nothing happened. This is my first heart murmur and hopefully my last as it isn’t common with Schnauzers. The next two weeks went smoothly, but as the time drew near for the surgery, I became more anxious. She was playing, eating very well (weighed 4 pounds, at 7 weeks old), I was giving her heart meds faithfully every day. However, on Wednesday afternoon August 1st, things changed and changed quickly. My husband rushed her to the cardiologist, which is over an hour away. We wanted to save her and our hearts were breaking. Because the surgery was not done right away, she developed a secondary heart condition and an infection on August 1st, 2018. Her lungs were filling up with fluid and she was going into congestive heart failure. As I write this, I am crushed, angry and full of regret. She was admitted and they spent that night stabilizing her. I did not sleep that night even though I was preparing for a long trip to CA and back, Fiona was nonstop on my mind. I called several times through the night to check on her. As I was boarding the plane for CA August 2, I was on the phone with my husband who had been on the phone with the vet, the surgeon and the cardiologist. Then I called the cardiologist too as I sat on the plane totally gutted and in shock at the sudden turn in Fiona’s health…I had to make the decision about her life as we were running out of time… do I say yes to a surgery that will likely kill her but had a slim chance she might survive or put her to rest peacefully since she was finally resting at the clinic… The surgery was no longer as simple as closing the valve because she now had an even more severe complication of the heart and an infection. I did not want to put her through a tough surgery and cause her even more suffering and so, while sitting on a plane about to take off, I chose to let her go peacefully. I still have no idea what the right thing to do was…I will beat myself up over this probably for the rest of my life. I have learned a tough lesson and at Fiona’s expense. We are laying her to rest out at my parents’ home in the country tomorrow. We only had nine weeks with her but we loved her with all our hearts. It’s things like this that cause me to question whether I can handle the heart ache of losing puppies and when the time comes, the older Schnauzers too. I do not want to ever become immune to the loss of life, but it hurts so much, too. We are the voice of our animals and animals in general. We don’t owe our vets or anyone loyalty or trust over our pets wellbeing. Never hesitate to get a second opinion, to get them into surgery sooner and to speak up loud and clear on their behalf. Fiona was a little ray of furry sunshine. I cannot express in words how much my husband and I hurt over this and what has happened to Fiona. I blame myself as much as I blame the clinic in Fort Wayne. So many of us failed Fiona….I do not need comfort or sympathy. I wrote this because I want people to know that there was a little puppy named Fiona (Sadie) and that she was loved so much….and maybe someone can avoid our heartache and the loss of life through our mistakes and failures. Sadie (Fiona) had a family too and they were anxiously awaiting her surgery and providing her with a loving home once she recovered. They have been wonderful throughout this and I am so sorry that this did not turn out as we had hoped and imagined for Sadie. When I look at each puppy, I see a future of happiness for them and their new family--it breaks my heart that the future I had imagined for Fiona is never to be.